Turipo - Vacation in Southern Thailand . Our trip plan to the south of Thailand. Full day by day travel plan to the South of Thailand. Our Family summer vacation in Southern Thailand, the best things to do and see in southern Thailand: Koh Samui, Ko Pha Ngan, Mu Ko Ang Thong National Park, Khao Sok National Park, Krabi and Raily Beach. Description: Our trip plan to the south of Thailand. Full day by day travel plan to the South of Thailand. Our Family summer vacation in Southern Thailand, the best things to do and see in southern Thailand: Koh Samui, Ko Pha Ngan, Mu Ko Ang Thong National Park, Khao Sok National Park, Krabi and Raily Beach. Day's description: This crazy city is bound to be your first destination upon arrival in Thailand. Bangkok is loud, busy, vibrant, and full of energy. 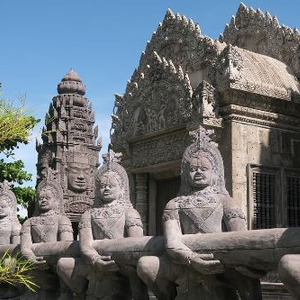 There are temples, shopping areas, and pretty much everything that you can imagine under the sun. Visit the famous Wat Pho and the Grand Palace. Shop in the widely diverse Chatuchak weekend market or many malls and eat some delicious street food available all over the city. As for street food, our general rule of thumb, the more local-the better! Suvarnabhumi Airport, also known unofficially as Bangkok Airport, is one of two international airports serving Bangkok, Thailand. The other is Don Mueang International Airport. Suvarnabhumi covers an area of 3,240 hectares, making it one of the biggest international airports in Southeast Asia and a more.. regional hub for aviation. Suvarnabhumi was officially opened for limited domestic flight service on 15 September 2006, and opened for most domestic and all international commercial flights on 28 September 2006. The airport is currently the main hub for Thai Airways International, Thai Smile Airways, and Bangkok Airways. It also serves as regional gateway and connecting point for various foreign carriers. The airport is on what had formerly been known as Nong Nguhao in Racha Thewa in Bang Phli, Samut Prakan, about 25 kilometres east of downtown Bangkok. The terminal building was designed by Helmut Jahn of Murphy / Jahn Architects. It was constructed primarily by ITO JV. The airport has the world's tallest free-standing control tower from 2006 to 2014, and the world's fourth largest single-building airport terminal. Suvarnabhumi is the twentieth busiest airport in the world, ninth busiest airport in Asia, and the busiest in the country, having handled 53 million passengers in 2012, and is also a major air cargo hub, with a total of 95 airlines. On social networks, Suvarnabhumi was the world's most popular site for taking Instagram photographs in 2012. The airport inherited the airport code, BKK, from Don Mueang after the older airport ceased international commercial flights. The modern Motorway 7 connects the airport, Bangkok, and the heavily industrial eastern seaboard of Thailand, where most export manufacturing takes place. less..
Samui International Airport, also known as Ko Samui Airport or Koh Samui Airport, is a privately owned airport on the island of Ko Samui in Thailand. The airport is roughly 2 km north of the main city and largest resort centre on the island, Chaweng. It was built by Bangkok Airways. Construction more.. began in 1982 and the airport was officially opened in April 1989. Samui Airport has a unique, open-air design with the indoor areas being the gift shop, ticket office, toilets, and VIP lounge area. It is also the country's seventh busiest airport handling more than a million passengers annually. The airport has two terminals. The international terminal is about 50 metres north of the domestic terminal. Samui Airport is near the Big Buddha Pier where ferries depart to Ko Pha Ngan. High speed ferries to Ko Tao and Chumphon depart from the Maenam Beach Pier, approximately 6 km northwest of the airport. less.. The beach is nice and good to swim.Beware little kids selling you flowers by tricking you into games. The two tallest waterfalls on the island are a typical stop in most of the island tours. The water may be murky in the rainy season so not so suitable for a swim and the parking area full of stalls selling souvenirs. Day's description: Although pricey, you will get the chance to take a tour to see the harvesting of birds’ nests. The swifts build their nests on the precarious rocky slopes of these islands. The islands are uninhabited and protected from poaching. The name in Thai means Four Islands – Five Islands, as one of them is hidden. The tour usually takes tourists on a wooden long tail boat to spot the nests and some hidden beaches and limestone cliffs and there is the opportunity to snorkel. 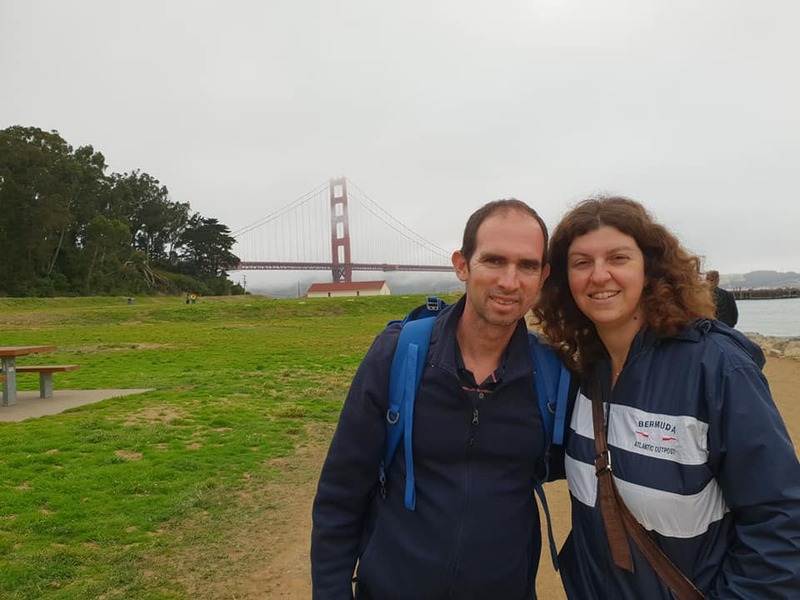 You could take the tour in the morning and end with a lunch back on the beach but it is much nicer to do it in the afternoon and enjoy a romantic seafood dinner on the beach. Ko Samui is an island off the east coast of the Kra Isthmus, Thailand. 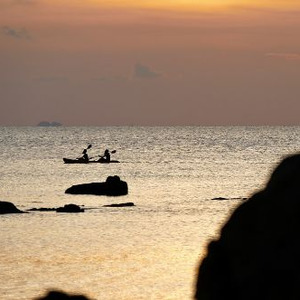 Geographically in the Chumphon Archipelago, it is part of Surat Thani Province, though as of 2012, Ko Samui was granted Municipality status and thus is now locally self-governing. 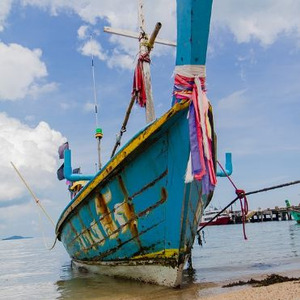 Ko Samui is Thailand's second-largest island more.. after Phuket, with an area of 228.7 km2, a population of over 63,000 and a hotel occupancy rate of 73 percent as the number of visitors continues to increase. Abundant tourist resources, sandy beaches, coral reefs, and coconut trees are present on the island. less..
Day's description: The island of Ko Pha Ngan is also found in the Gulf of Thailand, and it is best known for hosting huge parties in honor of the full moon. These infamous beach festivals are popular with young backpackers from around the world, and the revelry is unparalleled in Asia. However, that’s not all the island has to offer. Besides ideal beaches, Ko Pha Ngan is also home to Than Sadet-Ko Pha Ngan National Park, which offers free admission and boasts a beautiful waterfall. You can also hike through the jungle and along the coast, go scuba diving or try out a Muay Thai training course. This beautiful falls are hidden beyond the adventure park, this place is a must visit when you visit in Koh Pangan. As there is no regular path the waterfall itself is not crowded at all and is a nice contrast to the beaches. Still, the waterfall is easy to access by just following the small stream running through the varous big stones. Miniature golf, also known as minigolf, or putt-putt, is an offshoot of the sport of golf focusing solely on the putting aspect of its parent game. It is played on courses consisting of a series of holes similar to its parent, but characterized by their short length, the use of artificial putting more.. surfaces such as carpet, astroturf and/or concrete, a geometric layout often requiring non-traditional putting lines such as bank shots, and artificial obstacles such as tunnels/tubes, ramps, concrete/metal/fiberglass forms, and moving obstacles such as windmills. When miniature golf retains many of these characteristics but without the use of any props or obstacles, it is purely a mini version of its parent game. less..
Day's description: Ang Thong National Marine Park is a pristine archipelago of 42 islands in the Gulf of Thailand. It features towering limestone mountains, thick jungle, white-sand beaches, waterfalls and hidden coves and lakes to explore. 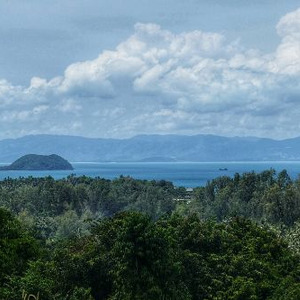 Within sight of Koh Samui, Ang Thong park is a protected area of more than 100 square kilometres of land and sea. It is home to a rich variety of exotic wildlife and sea creatures. Snorkelling, hiking, sea kayaking, diving, and simply relaxing are the main activities to enjoy at Ang Thong. Most Ang Thong visitors arrive on a join-in day trip or by boat charter from Koh Samui or Koh Pha Ngan. 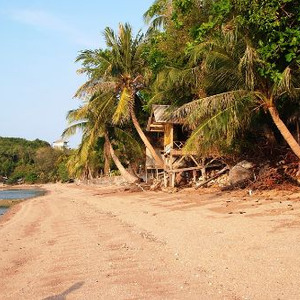 For those who wish to stay overnight, there are simple bungalows and camping tents available on Koh Wua Ta Lap. The Park Headquarters also hosts a simple restaurant. Despite its increasing number of visitors, the Ang Thong islands remain the postcard-perfect image of a tropical paradise. Ko Pha-ngan is an island in the Gulf of Thailand in southeast Thailand in Surat Thani Province. 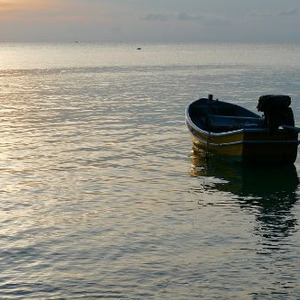 Ko Pha-ngan is known for its Full Moon Party at Haad Rin Beach. 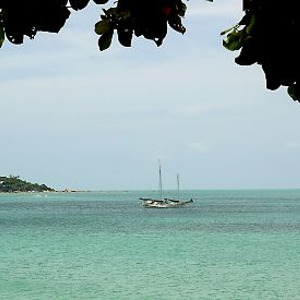 Ko Pha-ngan has two sister islands: the larger Ko Samui to the south and the smaller Ko Tao to the north. Estimated perimeter: 40 km From more.. mainland: about 55 km From Ko Samui: about 15 km From Ko Tao: about 35 km Main town: Thong Sala Highest Point: Khao Ra, 630 m less..
Day trip from Ko Pha ngan to Mu Ko Ang Thong. There are two full day island tours you can take to the outer islands. From January to October, the Ang Thong Marine National Park is open to visitors. There, you will be able to climb up (literally so bring proper shoes) to a viewpoint to see the Emerald Sea, a lake of the same color that is not accessible to humans due to conservation reasons. You can see it from the top of a hill on Mae Koh. Tours to Ang Thong usually include lunch on Koh Paluay, a sea-gipsy village, and kayaking around the island. Mu Ko Ang Thong is a marine national park in the Gulf of Thailand in Surat Thani Province. It covers 42 islands in a total area of 102 km2, of which about 50 km2 are land and the rest is water. The park was established on 12 November 1980. The northern tip of Ko Phaluai is also part of the marine more.. park. There is a ranger station, bungalows, a shop, and a restaurant at Ao Phi Beach on Ko Wua Talap. The name "Ang Thong" means 'bowl of gold'. "Mu Ko" simply means 'group of islands'. Since 2002 the park has been registered as Ramsar site number 1184. less..
Surat Thani is a city in Amphoe Mueang Surat Thani, Surat Thani Province, southern Thailand. It lies 651 km south of Bangkok. It is the capital of the province Surat Thani. The city has a population of 128,179, and an area of 68.97 square kilometers. The city's population density is 1,858.47 more.. inhabitants per km². Surat Thani is near the mouth of the river Tapi on the Gulf of Thailand. The city offers no major tourist attractions in itself, and is thus mainly known to tourists as a transfer to the nearby popular Ko Samui and Ko Pha Ngan. It forms the regional commercial center, with a seaport dealing in the main products of the province, rubber and coconuts. 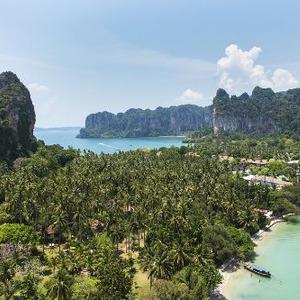 less..
Krabi is the main town in the province of Krabi on the west coast of southern Thailand at the mouth of the Krabi River where it empties in Phang Nga Bay. As of 2010 the town had a population of 52,867. The town is the capital of Krabi Province and Krabi District. Tourism is an important industry. more.. Krabi is 783 km south of Bangkok by road. less..
Isolated from the mainland, the peninsula of Railay is surrounded by the warm Andaman Sea, lush jungle, and twisted rock. It contains enough activities for the most adventurous while allowing those who just want to chill out in paradise the opportunity to do just that. Railay, also known as Rai Leh, is a small peninsula between the city of Krabi and Ao Nang in Thailand. It is accessible only by boat due to high limestone cliffs cutting off mainland access. These cliffs attract rock climbers from all over the world, but the area is also popular due to its beautiful more.. beaches and quiet relaxing atmosphere. Accommodation ranges from bungalows and medium-priced resorts in East Railay to a collection of luxury resorts focused on West Railay, though one, Rajavadee, spans both waterfronts and also has a beachfront restaurant at Ao Phra Nang. 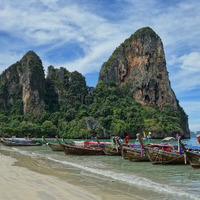 The four main areas of Railay consist of Phra Nang, West Railay, East Railay, and Ton Sai. Ton Sai caters to climbers and the backpacker set and is more rustic in character than the glitz of West Railay and the shops and restaurants of the East Railay boardwalk. 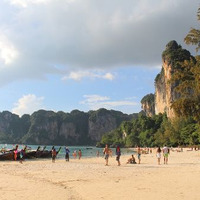 Railay beach was not severely affected by the tsunami of 26 December 2004. less..
Day's description: Whether you’re searching for the next adrenaline rush or unparalleled scenic beauty, Railay may be the answer. 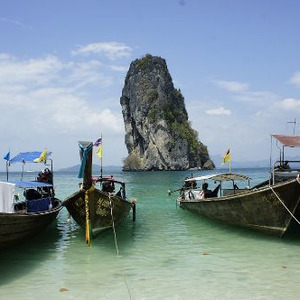 Railay is a peninsula surrounded by oceans and mountains, which means that it is primarily accessible by boat. On stunning white-sand beaches, tall limestone formations tower over the water. At Phra Nang Beach on Railay, you can swim underneath incredible limestone structures. At Rai Leh West Beach, the vibe is a little quieter but the scenic beauty is just as appealing. You’ll have the chance to explore caves in Railay, and the truly adventurous can also try out some of the ample rock climbing available. Day's description: Considered by many to be one of Thailand’s most beautiful wildlife reserves, the Khao Sok National Park covers jungle forests, limestone karsts, rivers and lakes in the Surat Thani province of southern Thailand. The reserve is home to some of the most amazing wildlife in Thailand such as Asian elephants, barking deer, wild boar, bears, Malayan tapirs and various monkeys breeds like gibbons, pig-tailed macaques and langurs. There are several trails in the park from which visitors can choose to enjoy trekking through the jungle to spot wildlife, photograph beautiful waterfalls, swim in natural pools and admire stunning vistas from elevated viewpoints. Khao Sok National Park is in Surat Thani Province, Thailand. Its area is 739 km², and it includes the 165 square kilometer Cheow Lan Lake contained by the Ratchaprapha Dam. The park is the largest area of virgin forest in southern Thailand and is a remnant of rain forest which is older and more more.. diverse than the Amazon rain forest. less..
Buying a Thai simcard is best thing to do, WIFI is not available everywhere. A simcard costs 100 baht and the shop assistant will setup your phone for you. Plus you can buy data packages from 99 baht per week, you can still use WIFI too. When travelling down to the islands, go to the train station to buy a ticket …buying a ticket from Hualamphong station is so much cheaper than those rip-off merchants that want to sell you ‘package’ tickets on Khao San Road. Thai Visas are relatively easy to obtain. Most of it is available upon arrival, or if coming from an ASEAN country, you get a free 30 day visa. For those that are planning to stay longer, consider applying for a 6 month visa in the Thai embassy in your home country before leaving. 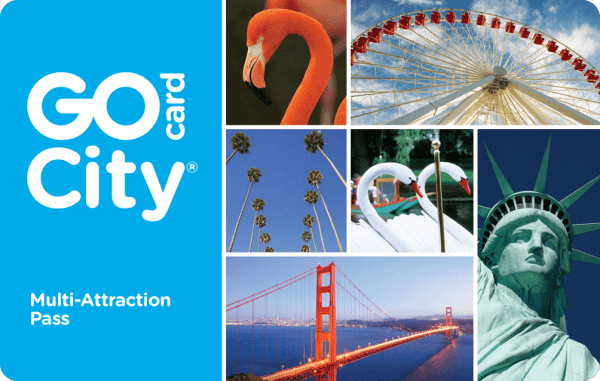 This will save you from having to leave the country every 30 days. Most countries nowadays will ask for proof of an onwards flight exiting the country to consider this as the airport staff can refuse your entry. Beware of any tuk tuk or taxi drivers who you hire to take you to grand palace, or other attraction they will claim the attraction closes say at lunch time, then offer to take you to jewelry outlets or other novelty store that give them a fee for bringing them customers. Look into the schedule of holidays and big celebrations such as Songkran (a really awesome water festival) and Loy Krathong and try to fit it in your trip. There are also the monthly full moon festivals to look out for. Always ask a taxi to put the meter on …if they refuse then just try another taxi. 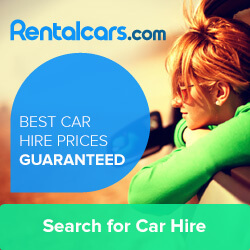 It’ll take no more than 2 or 3 attempts to find one that will, and it’ll be MUCH cheaper. Take the train from the airport into central Bangkok …It’s like 30 baht vs 400 baht (not exact) and is so easy! After you pick up your baggage just follow the signs for the Airport Rail Link (downstairs a few flights), buy a ticket to the end of the line, then just pick up a metered taxi when you get there to your final destination. if travelling down to the islands it’s worth checking the NokAir and AirAsia websites, as ‘flight and ferry’ packages nowadays can sometimes be almost as cheap as the train. axis will not always put the meter on and you are right, just move on another taxi. Another tip is always have small change and notes for the taxi, many will say that they do not have change of a 500 or 100 baht note.